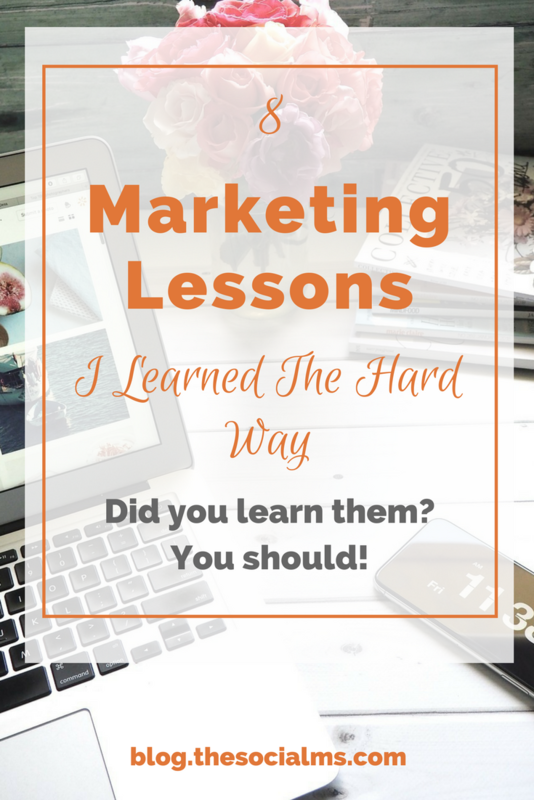 Marketing often sounds easy, especially when you read about success stories from people who made it – and are trying to sell you their path to success. And when you try to learn, copy and find your own strategy, you also have to learn your lessons. Because Marketing is not simple and most of the time success does not appear by magic but by real hard work, figuring out all the details and tweaking it all until it fits your situation. And you will get a lot of frustration for free. Even if you hire someone to do the marketing, it is your business and your responsibility – and you hold the key to the knowledge that is absolutely crucial for marketing success. Your marketing needs the input from the people who best know the business and the products. And while you can delegate marketing tasks – you still have to take the responsibility and be part of the process. 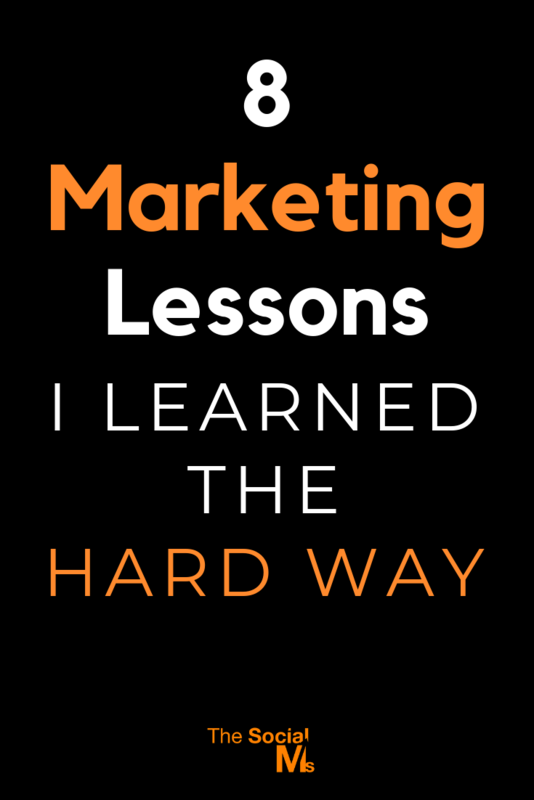 Even if you hire the best marketers, the best team and provide them with an awesome budget, they will still be able to come up with much better results if you don’t let them out in the rain. That does not mean that you should constantly control them or to interfere with their daily tasks. But your input at the right time will help to find flaws, optimize and produce awesome results. The best marketing results often do not come from copying and following best practices that others have used or tried a million times. The crazy awesome marketing results that you read about are often found in insane ideas, creative thinking, and daring to tread totally new paths. Everyone just following behind and trying to get a slice of the already rather stale cake, will rarely result in mind-blowing success. Sometimes it is better to step out of the worn-out paths everybody else is using. You don’t believe me and want to see examples? We oursleves did something everybody told us was spam: We used Twitter automated direct messages to invite people to our publishing platform – and our audience loved it because we offered exactly what they were looking for at the right time and place. That strategy brought us exponential growth. (Don’t try to copy the strategy, automated direct messages are long gone for good). 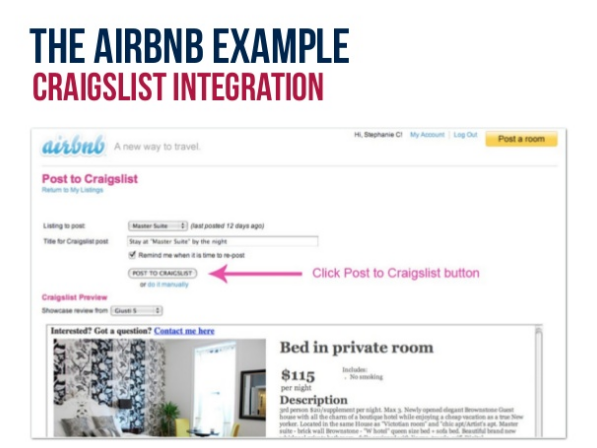 Another example is AirBnB and how they „hijacked“ Craigslist to boost their bookings. It worked, because it was NOT a marketing best practice. It worked because they were creative and did something that no one had dared to do ever before. When you are looking for marketing advice online, you will find a ton of posts or even sales pages that state something like this: „How I made it to awesome success and here is how you can get the same success“. But the hard truth is that you can buy descriptions of hundreds of these success processes, try everything you can find in blog posts and copy all the experts and influencers, it may still not work for you. Because your situation is unique. You are a different person, you communicate in a different way. Your product or even your content is different. Your audience is different. And last but not least, the surroundings have changed. What worked some years ago can be totally useless today. So if you read advice by a blogger who „made“ it a couple of years ago, you have to take into account, that most established social networks are more crowded today. More marketers are already trying to copy and competition probably is more fierce. Marketing is not like: switch it on and it is perfect. Most of the time there is a lot of trial and error, testing, tweaking and optimizing involved. You have to take that into account when you plan your marketing. Hiring a marketer three days before you need big-time marketing success is usually going to fail – or be a waste of a ton of money. 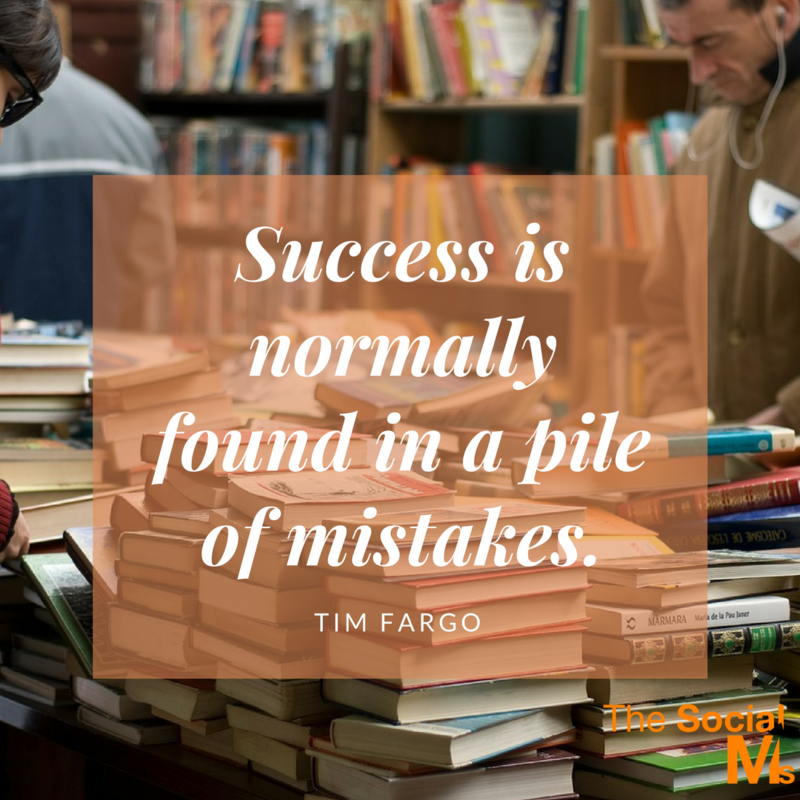 Because success is usually found in a pile of failures. Never be superficial in your marketing. Some tiny things you did not pay attention to might just kill all your chances of marketing success. The color or the placement of a Call To Action button can have a huge impact. Even a background image can make a huge difference. One sentence on a landing or sales page can decide between converting or failing. And that means that all marketing success has a lot to do with testing, tweaking and optimizing – and paying attention to details. Never be sloppy about the various elements in your marketing. Pay attention to the little things it will be worth the effort. A couple of years ago some „marketers“ turned all angry and riding a high horse whenever the word automation was mentioned. That changed. Marketing automation got more accepted. But still, some consultants claim automation is a bad thing. And that is really bad. In fact, marketing automation enables small businesses and bloggers to perform some marketing magic like the big players and allow them to use online marketing besides working full time on other things. Marketing automation can be bad if it goes overboard. But basically, marketing automation will be a lifesaver and help you to scale your success big time! It is not the number of posts, the number of followers or the number of subscribers to your email list that will decide over your success or about the amount of money you can make or the traffic you can get. Don’t always aim for big – that is only good for bragging. Aim for targeting, engagement and build a relationship with your audience. In the end, that will pay off far better than to have a huge Twitter following. When we started out with online marketing for out former publishing platform, we had no clue what we were doing. And that resulted in us trying everything a little bit at the same time. Can you guess what the result was? Yes: Utter Failure. No Subscribers, virtually no traffic and no new content for the publishing platform. So what was our game changer? We figured out how to use Twitter for traffic, signups and lead generation. We focused on marketing with Twitter, we learned how to scale it and how to combine Twitter with content marketing. And we made it: exponetial growth in signups and articles. Over 500k pageviews from Twitter. And we are by far not alone with this experience. Many bloggers and marketers are awesome in ONE social media outlet. 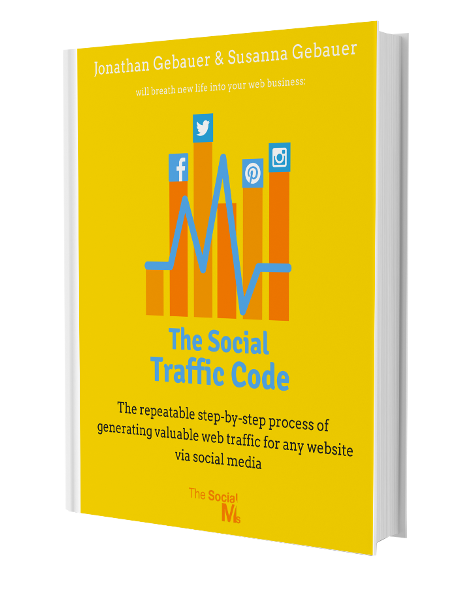 They understand exactly how to scale this one traffic source – and everything else just comes as some side effects. It’s not the number of networks you are using that decides on the amount of traffic or success you get. 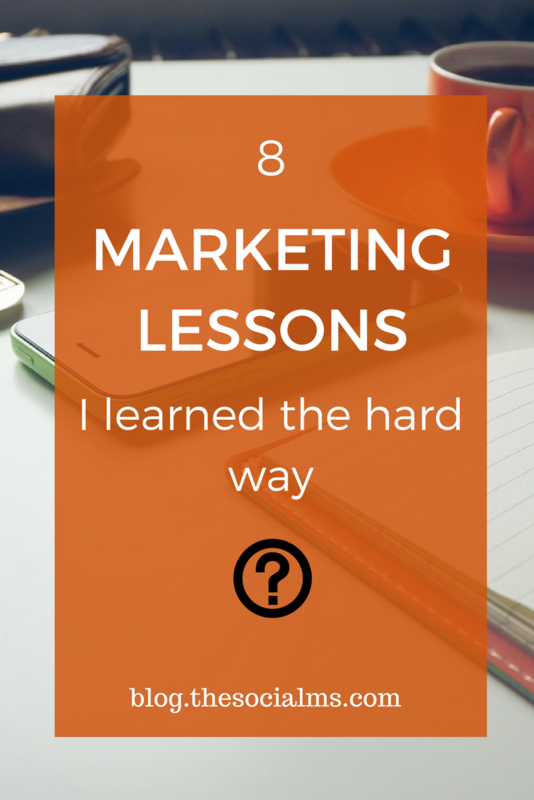 There are probably hundreds or even thousands of lessons we learn from marketing and business experience every day. The lessons that most stick to our brain and that we pay the most attention to will probably be different for everyone. The main lesson we have to keep in mind is to stay open for new ideas, don’t despair if something does not work as planned but take it as a lesson that will turn us into a better entrepreneur, blogger or business owner!